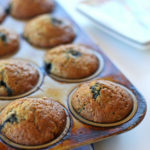 I’ve made these banana blueberry muffins so many times, I don’t even have to look at the recipe any more. 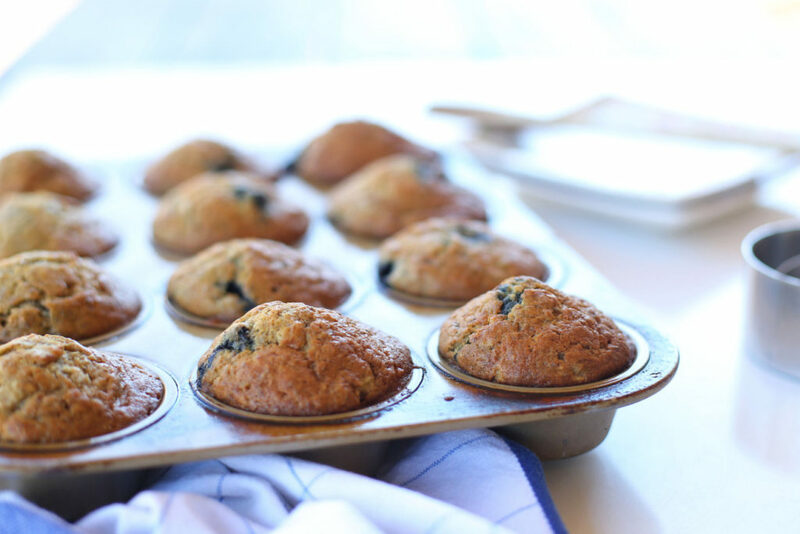 These blueberry banana muffins turn out perfectly every time and they are incredibly delicious – perfect for busy back-to-school breakfasts or after-school snacks! When it comes to breakfast and lunch, I’m pretty happy to eat the same thing over and over again. I did a three year stint of eating plain yogurt with homemade granola pretty much every day. Now I have eggs and sausage most mornings for breakfast (basically I’d eat anything with feta and sriracha sauce on top). So clearly, it doesn’t bother me to eat the same thing day after day. 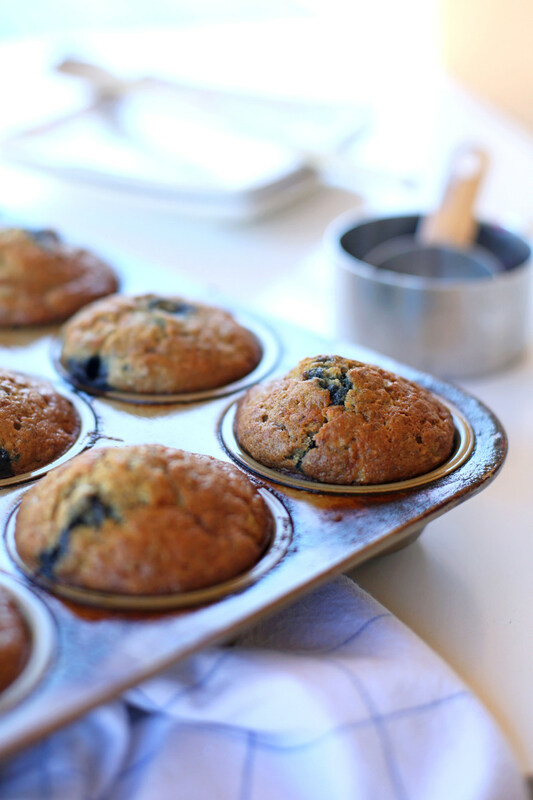 But nothing in our household has stood the test of repetition more than these banana blueberry muffins. I started making these blueberry banana muffins back when Bart and I were both in grad school, and we’d eat them in the car on the thirty minute drive down to UT Austin. That was in 2008 and now, a decade later, we still almost ALWAYS have some of these banana blueberry muffins in our freezer. Even after all these years, I can’t resist one when they’ve just come out of the oven. They are just so delicious. 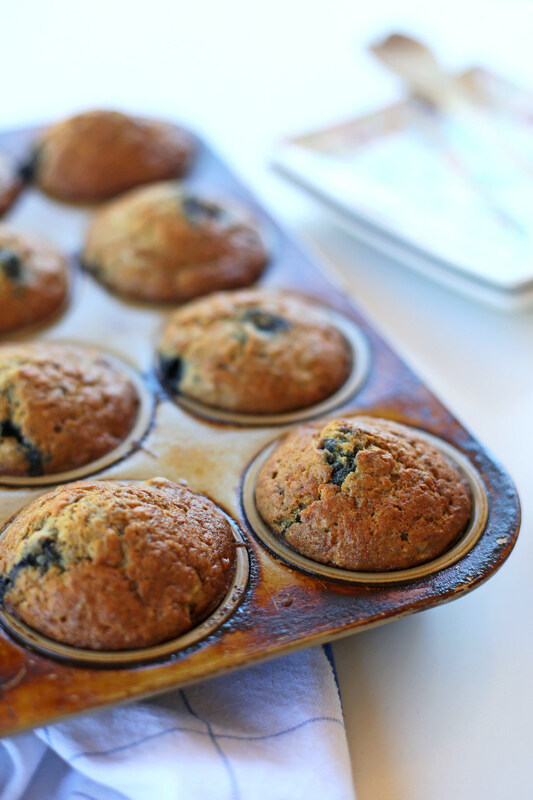 At this point, I could make these blueberry banana muffins in my sleep. They freeze and reheat perfectly, so they’re a great choice for school morning breakfasts or to pack in a lunchbox or have as an afternoon snack. I hope you’ll love them for a decade too! P.S. This muffin pan was a wedding gift almost thirteen years ago (from my high school boyfriend’s parents!) and it’s still going strong after nearly weekly use for all those years. It’s probably in the top five wedding gifts we got – I love the gold color, I love how it hasn’t warped AT ALL or lost its shape in all those years, and I love that my muffins always come right out. Preheat oven to 375 degrees. Grease a muffin pan or line with muffin cups. In the bowl of a stand mixer, beat together the butter, yogurt and both sugars until light and fluffy. Add the eggs and beat until well combined. Pour the flour on top of the sugar mixture, then add the oats, baking soda, and salt on top. Mix for just a few seconds. Add the bananas (unless they aren't very ripe, I never bother mashing them beforehand) and run the mixer for a few seconds, then add the milk and vanilla and mix just until combined. Pour in the blueberries and run the machine for a few seconds to evenly distribute them. Divide the batter evenly among the muffin cups and bake for 28 minutes until the tops are golden brown. Cool for 10 minutes and then remove from pan. These have become a staple in our household – I just made some this past weekend! Hi! First time commenter here, but I’m a faithful reader. I really enjoy your blog. The food posts are my favorite–I actually found you because I saw where someone linked to one of your recipes, a couple years ago. Almost every single recipe you post sounds fantastic to me. I’m definitely trying your blueberry-banana muffins. Would you consider adding a printable form of the recipes you post? I only follow three other blogs that include recipes, but I’ve gotten so spoiled to that. ? I was hoping to persuade you to do likewise. Maybe other readers would find it useful as well! You can do it yourself for any website with this site: https://www.printfriendly.com/. When you do that, then you can choose how many pages you print via a print preview (in other words, you can get rid of images if you don’t want to print them). 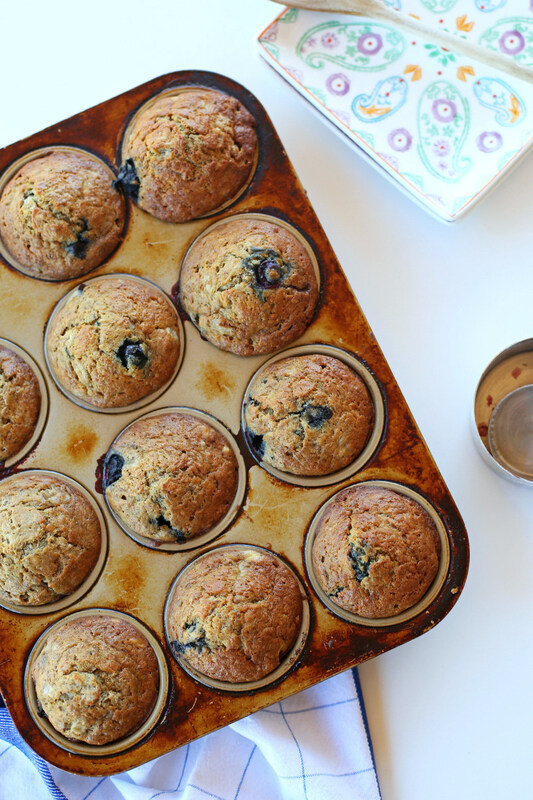 These muffins look amazing, and we have berries we need to use up… so I know what I’m doing this afternoon! that’s such a helpful tip; thanks for sharing! I hate wasting paper when I print recipes but I’m still old-school enough to want a hard copy a lot of the time. Can’t wait to try these! I can almost smell them from Ohio 🙂 YUM! Yum! I made these for breakfast this morning and they were amazing!! Thanks for a great recipe! Just got mine in the oven! I used blackberries instead of blueberries :/ hope they turn out! Made them yesterday and LOVED them! I enjoy your blog so much. I made these muffins with one of my kids this week and they were delicious. Ready to make them again! I’ve just made myself a big batch of muffins for the beginning of school (I’m starting as a teacher in a couple weeks). I love muffins as a grab and go breakfast because I HATE mornings. Thanks for a new recipe to try!